A long time ago, when +Google+ was just a protostar, people relied on shared circles to tell who was active on the network and who was not. If you were new to Google+, at the time the “stream” showed everyone that was actively posting, not just the people that you had circled. As the network grew, people needed a way to keep track of the people that were active so they could narrow down their stream. During this time, the use of shared circles was very common, however it was necessary. As time went on and Google+ started to become a star, circles were less about just who was “active” and more about specific interests and topics. A lot of people used them to help discover new users that were excited to grow an audience, but most of those attempts were extremely organic. I, like +Mike Elgan, +Robert Scoble, and others, worked on creating carefully curated circles that contained people specific to a certain set of interests. Mike’s best one yet, was the #BlogsofAugust circle that introduced me to some great people, but Robert’s Circle of 500 Bloggers put so many Google+ early adopters in front of hundreds of new followers. Later on, I would go on to create an “Original Content Creators” circle which featured people that were sharing their own genuine content. 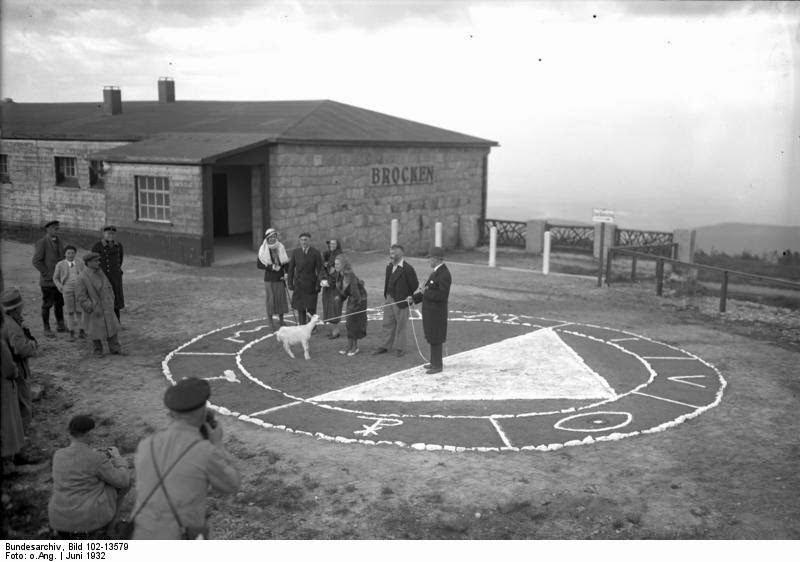 The image above is of the Brocken experiment by British physic researcher Harry Price. The true magic of a shared circle, is one that is carefully curated, focused and limited to those who are truly engaging and consistent content creators. I encourage each and every one of you to curate several of these circles throughout your time on Google+ and share them with your audience to help others discover the great things out there. These “other” circles, the “Mega Ball” and the “+1 and reshare to be included” circles are akin to the Brocken Experiment. No matter how well you advertise it, and how hard you try, you simply can’t turn a goat into a young scholarly man. In fact, when you think about it, the whole idea is just plain silly.